Choice Provisions is a gaming company behind many pixel-style 2D running games similar in style to that of Mario or Little Big Planet, but with a rhythm mechanic. However, their traditional style changed when they released Runner3 back in May of 2018 for Steam and the Nintendo Switch. The game introduced all sorts of new ways to move about and go through a level, including the added aspect of a 3D format rather than staying with the original 8-bit 2D style. It did, however, keep with the rhythm aspect of the entire game that had been in its predecessors. The video shows off that each item and character puts out a different sound. This mechanic relies on the rhythmic style gameplay that the Bit.Trip Runner series is known for. It shows off the types of moves the character has to pull off to navigate their way through the challenges at hand. Whether it’s a quick jump then slide, or a type of movement between planes, it has something to do with the music. Dant Rambo also mentions the improvements and features that are coming to the game as well. This includes being able to change the difficulty within the game, much like how Runner2 had. He also specified that the “double jump” feature would be ready to go at the beginning of Runner3, so players wouldn’t have to wait to get it. Certain levels and objects became more forgiving with their hitboxes, but they did add in the retro levels that are known as the “Impossible Levels”, so have fun with those. 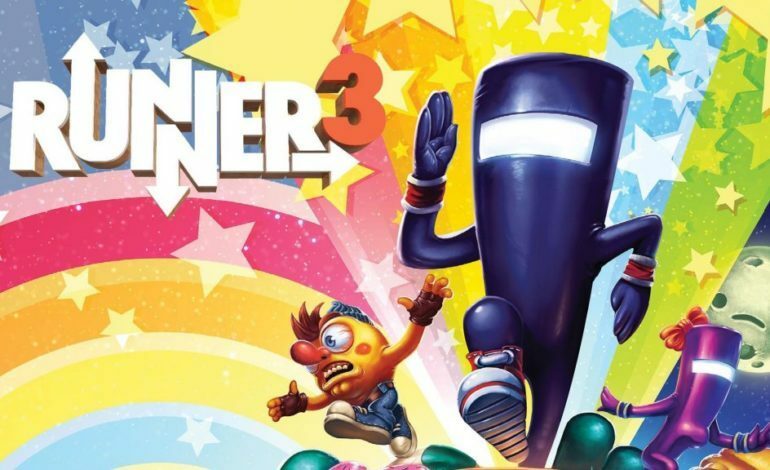 Runner3 will be available for $19.99 USD on November 13. But the two week 50% off discount when it launches because of the studio’s 10 year anniversary will have players running to get it.